I have 21 Years experience in commercial IT environments. Specialising in the needs small to medium sized businesses. I have designed, built and maintained systems from single home users machines to a network of over 600 devices covering 4 continents. 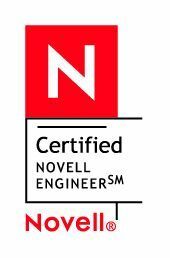 I have particular expertise in physical networks, internet connectivity and e-mail systems especially Novell's GroupWise. I have the following qualifications.